Traditional Cajon with modern sound! 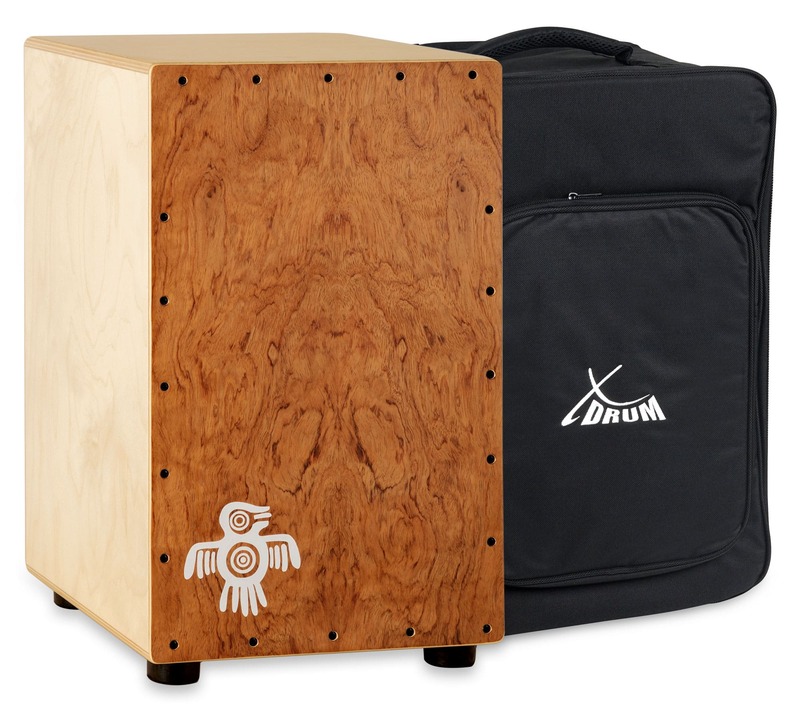 These finely crafted cajones from the XDrum Peruvian series have a 9-mm thick birch body and snare effect, offering you impressive design and sounds! 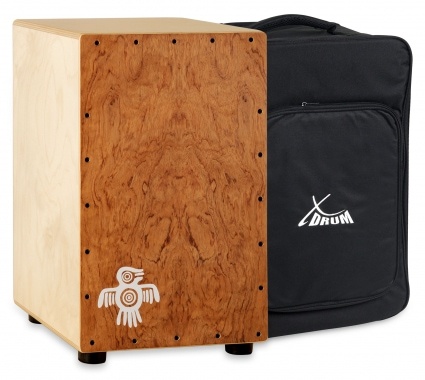 The Cajon consists of a 7-ply body made of birchwood with a thickness of 9 mm. The neatly glued individual parts leave a beautiful grain pattern, rounded corners and edges are also visually pleasing. The Peruvian design on the strike plate connects this drum to its South American origins. With a seating surface of approx. 31 x 30 cm and a height of approx. 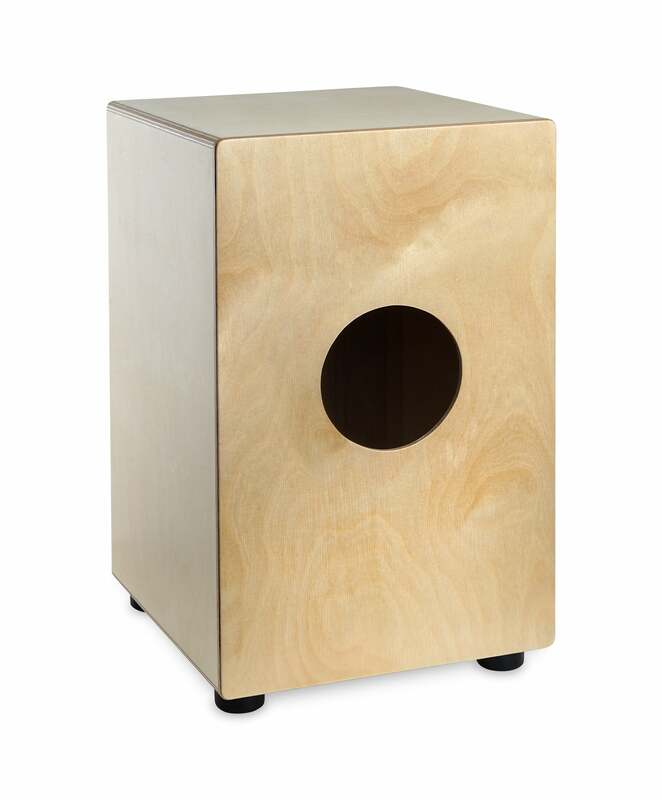 48 cm, the Cajon offers excellent sitting and playing comfort. On the inside of the strike plate, a total of 4 bronze-wound strings give this drum an impressive snare sound. You can adjust the strings to suit your personal taste using the included tuning key, which is stored in the box so that you never lose it. Since the strike plate is completely screwed, the clap corners can be adjusted with a screwdriver for a nuanced sound. Included in the delivery is a bag made of durable nylon material, which pads your Cajon with 1 cm of optimal protection. 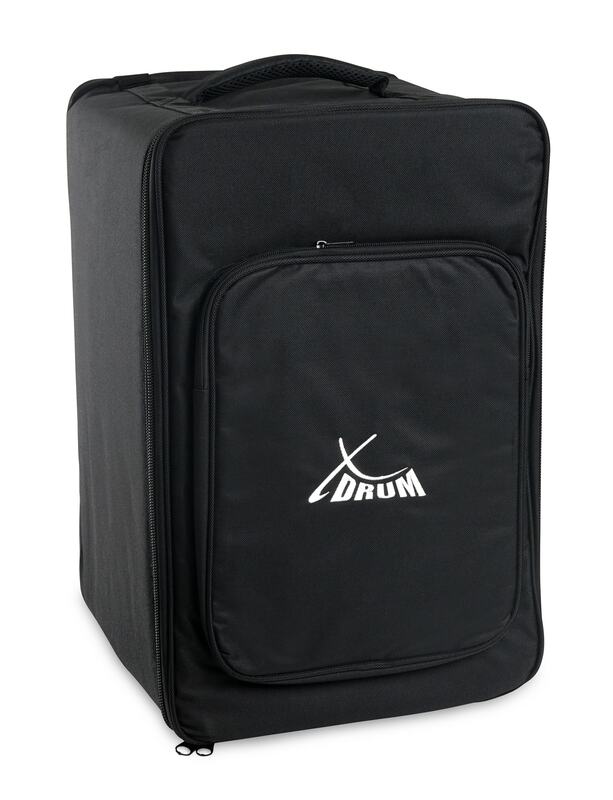 A 33 x 26 cm outer case provides sufficient space for music, small shakers and other accessories. 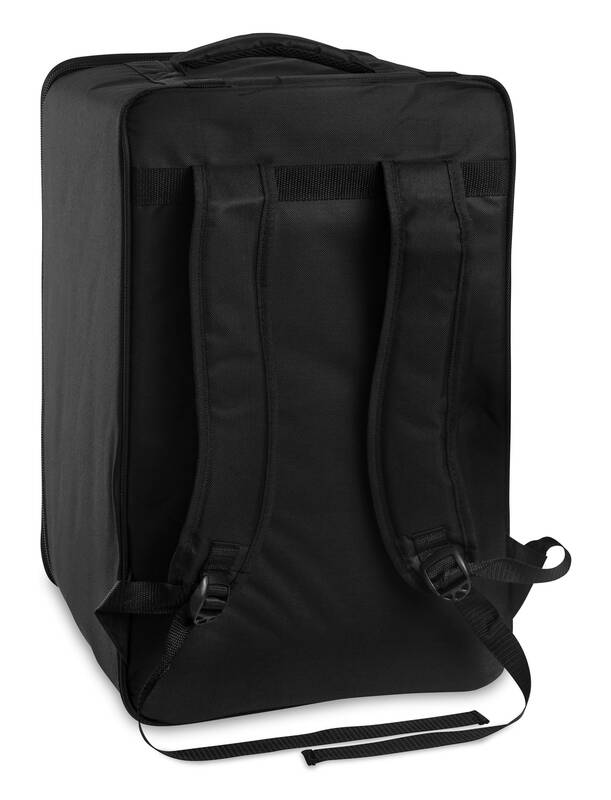 This carrying bag also has a carrying handle and backpack straps so that you can transport your Cajon on a bicycle, scooter or on foot to your next destination. Das Instrument ist sehr solide gearbeitet, klingt ansprechend und präsentiert sich dekorativ auch als Möbelstück ;) Eine gepolsterte, qualitativ hochwertige Tasche gab's noch dazu. Die Lieferung klappte schnell und reibungslos. Es ist kein Wunsch offen geblieben bei einem guten Preis. Mein Kind ist begeistert. Werde hier gerne wieder bestellen und weiterempfehlen. Danke!